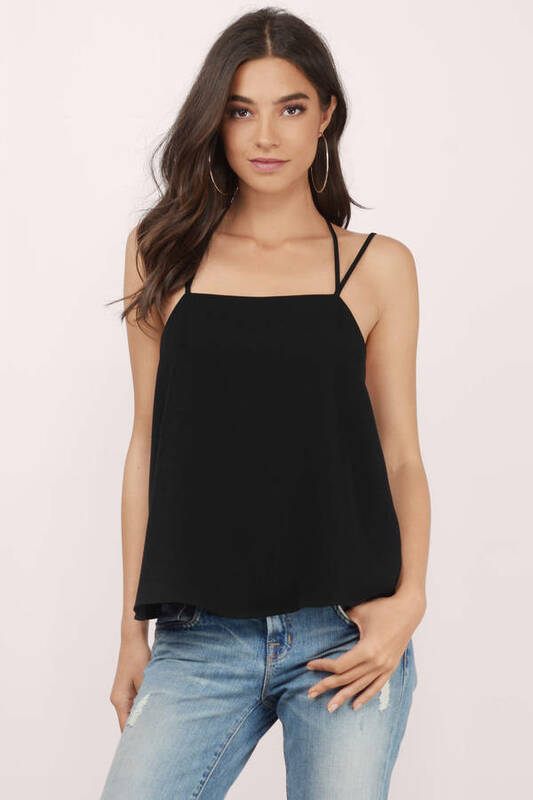 Check out Tobi's Make A Point Strappy Cami Top Make a statement in the Make A Point Strappy Cami Top . 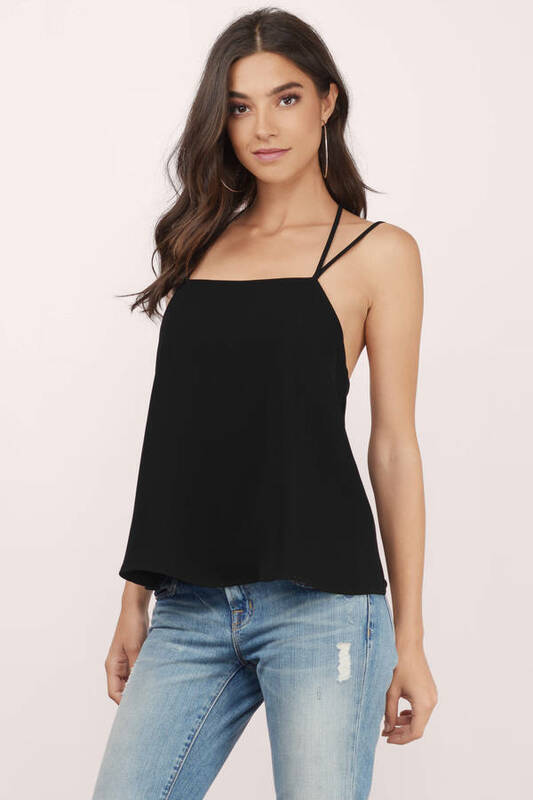 Cami top with a square neck and strappy front to back. 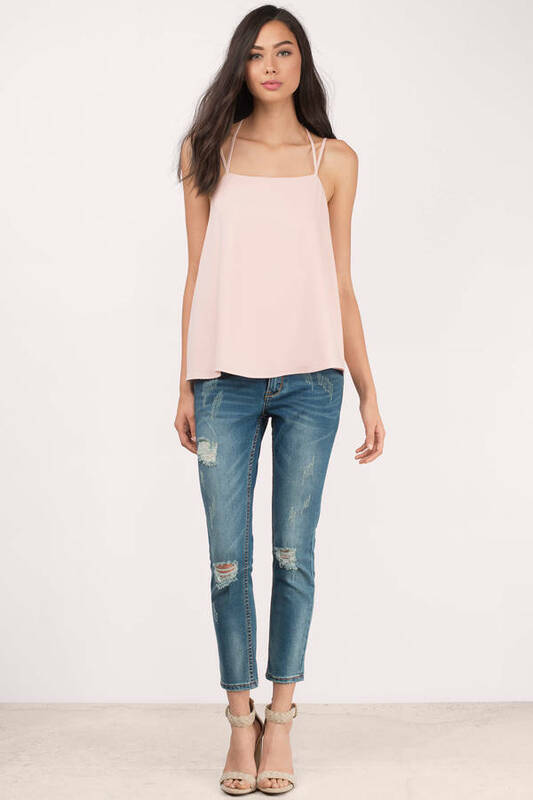 Wear with skinny trousers and heels.